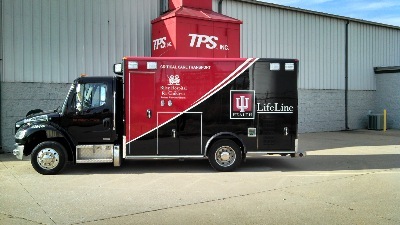 TPS is an OSHA approved collision repair shop and painting facility, servicing the central Indiana area for over twenty-five years. We are a complete medium and heavy equipment repair company, offering tailored painting design and expertise. TPS strives to offer superior customer service and our customer relationship is of utmost importance to us. We settle for nothing less than the highest quality in our parts and products. Our employees are trained and experienced, always aiming to exceed your expectations. In addition, we understand vehicle down-time can hinder your operations. We take pride in our ability to minimize vehicle down-time while focusing on the high quality of our work.